Deep into that darkness peering, long I stood there wondering, fearing, Doubting, dreaming dreams no mortal ever dared to dream before. ' It is one of the most enduring scenes of American literature; an eerie winter evening full of memories and ghosts, when a bereaved man comes face to face with a strange bird utterin the foreboding phrase 'Nevermore'. 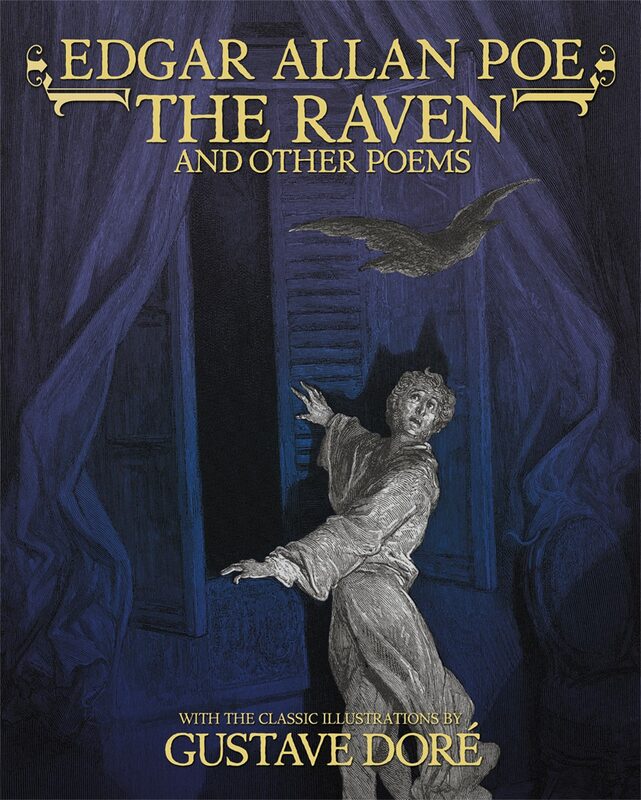 Edgar Allan Poe's celebrated poem 'The Raven' is a haunting elegy of loss and mourning that has resonates with readers for over 150 years. This handsome edition sets the text alongside the famous illustrations by Gustave Dore, which capture and enhance the brooding atmosphere of the poem and the psychological turmoil of its subject. The book is completed with other poems fromPoe's acclaimed 1845 collection including 'Tamerlane', 'A Dream', and 'The Valley of Unrest'.